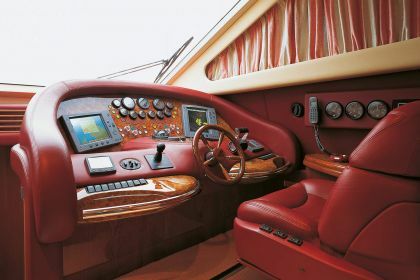 “IRIS” has been designed to ensure comfort, space and luxury. 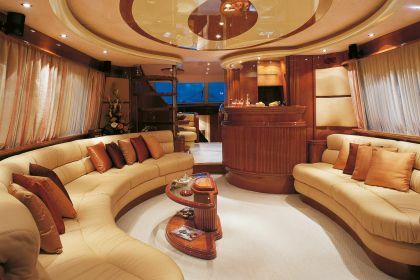 Entering the main saloon area there are circular cream leather couches on both sides, while on the left hand side there is a coffee table with two stools. 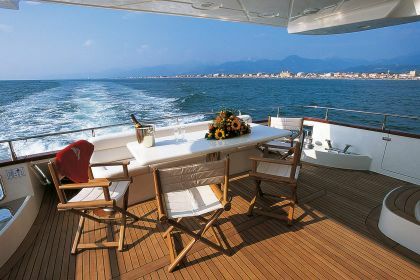 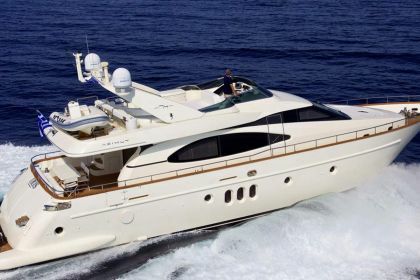 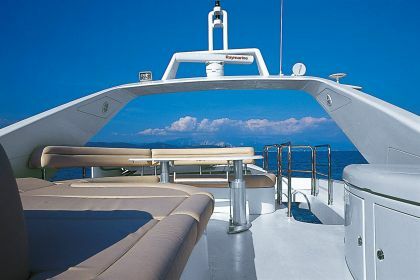 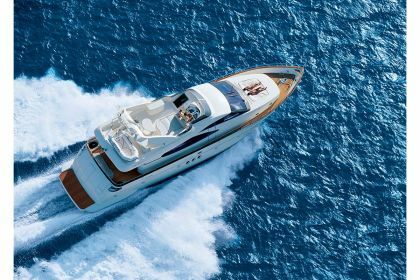 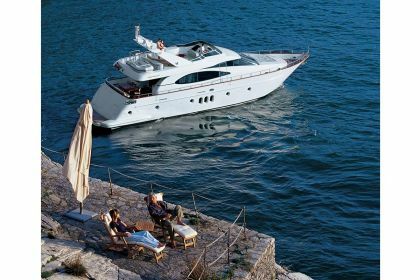 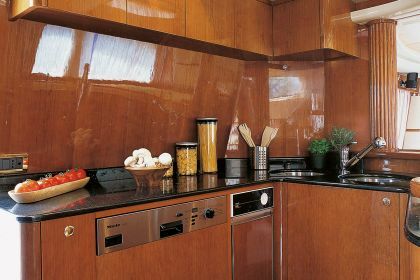 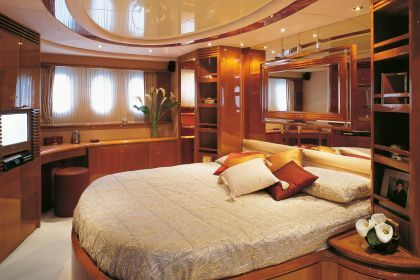 The carpets on board are a fresh cream color which gives a gorgeous contrast to the rich wood used throughout the yacht. 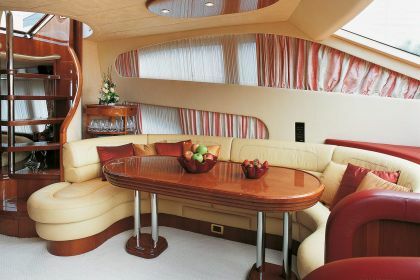 Two steps up is the aisle towards the forward section, on the way passing on your left the enclosed galley/wet bar facing the saloon area. 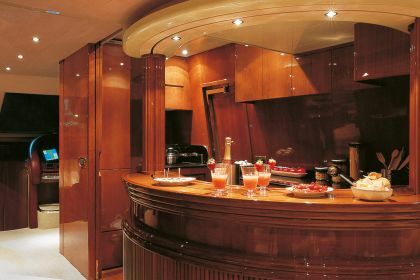 In the lower part of the wooden infrastructure of the wet bar facing the saloon, there is a binnacle incorporating a flat screen TV with satellite worldwide reception, DVD, Music center. 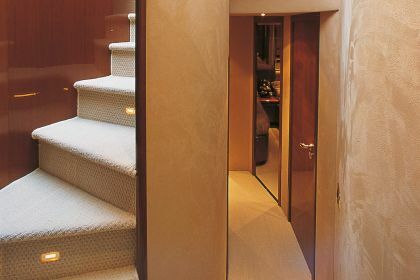 On the left opposite the galley is the wooden stair taking guests up to sundeck. 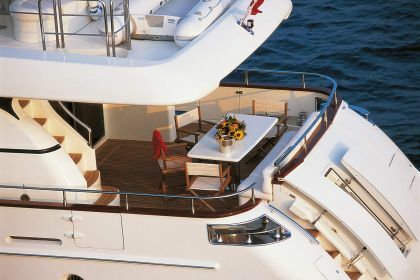 Forward section of the saloon is dominated on the left by a folding dining table with circular couch, able to comfortably accommodate 8 guests, and on the right side is the steering helm position and the set of stairs down, towards the cabins. 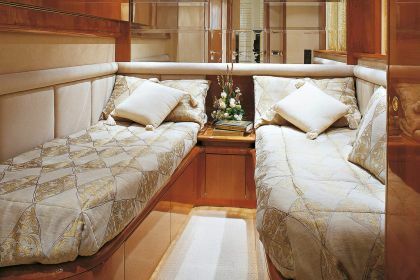 The VIP cabin, fore, has a central queen bed and bedside tables on either side. 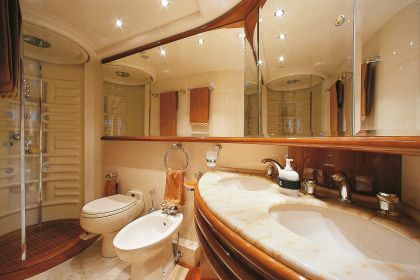 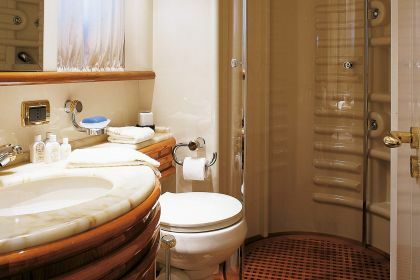 There is a walk-in closet on the left hand side of the cabin and on the right is the en-suite bathroom with one marble sink, one WC, one glass shower. 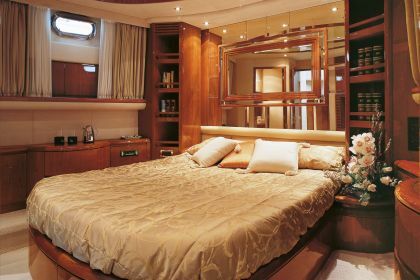 Sat Tv, DVD, radio/CD, flat screen Tv, internal/external phone.